Pocket Weather 4 is here! 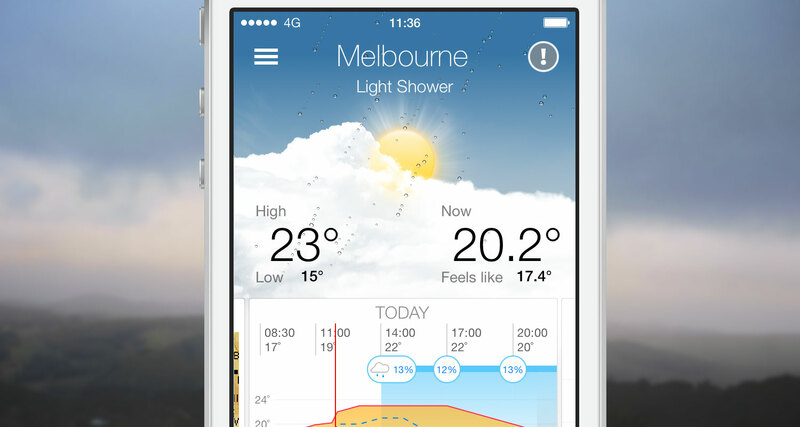 Pocket Weather 4 for iPhone and iPad is here, and it’s a free update, so before reading any further: go grab it! iPhone performance! Locations are back to opening lightning fast on even the oldest of iPhones. Brand new iOS 7 interface, this wasn’t us just removing some assets and gradients, we reworked the entire app to make it cleaner and simpler. We’ve redone the iPad interface, no more iPhone clone with cards, but something far more unique and forward thinking. Background refresh: it’s amazing just how much of a difference it makes to have your weather loaded already when you open the app. All new visualisations for chance of rain, never wonder when you will be rained on again! On the iPhone, the cards can now be re-ordered. There are too many other tweaks and enhancements to list here, go have a play and let us know what you think. For those of you still reading, you might be wondering why it took a while to get this version out, I know a few of you were even on the brink of losing hope of seeing an update from us. Once we saw iOS 7, back in June with Beta 1 we knew that Pocket Weather had to change. We were busy working on Pocket Casts though, and figured we’d have plenty of time to get to that before the end of the year. Then in September, in literally the very last beta from Apple, our app broke horribly on the iPhone. Tapping a location could take up to 10 seconds before it would show you any data. This was horrific, so our first instinct was to patch that, then continue working on the iOS 7 update itself. Unfortunately patching that one bug proved impossible, without re-doing most of the app itself. Once we realised that we had but one choice: many months ago we pressed ‘File’ -> ‘New Project’ and started Pocket Weather again. It’s been a tough few months and for the first time we hired an external contractor to help speed things up (the amazing Chris Miles, who did an awesome job! ), and we worked many late nights and weekends. Long story short, sometimes when we’re talking about what we’re doing the least, it’s because we’re working the hardest.